The future of work is about microlearning and unlearning, freedom by technology, agile companies, alignment for autonomy, and self-organized groups of people around common goals and interests; these were some of the ideas discussed at Agile People Sweden. The fifth Agile People Sweden Conference was held on October 23 and 24 in Stockholm. The 2017 conference theme is: The Future of Work - Scaling Agile to Improve Worklife. The conference was organized by the Agile People Association. InfoQ is covering this event with write-ups, interviews, and articles. The afternoon started with a panel discussion with Jurgen Appelo, James Priest, Bonnita Roy, and Joshua Vial. Learning will become more continuous, with smaller pieces of learnings just in time for when people need them. Appelo stated that as a manager you have to create an environment where microlearning is possible. In the future of work unlearning is as important as learning. Priest explained the chicken and egg problem that agile poses: "You need an agile mindset to recognize the potential of an agile mindset." Real agility is not about doing practices or following the frameworks, it’s doing what works for you. We define our identities with our professions and that’s a problem, argued Vial. Technology is not good or bad, it just is, said Priest. Technology gives use freedom, but we have to be careful how we use that freedom, argued Roy. Appelo suggested to "bring on the change and see what happens". He provoked the audience by stating that sometimes you should let companies die instead of helping them, and then start over. Sustainable change is possible; organizations like Southwest, Virgin, and Handelsbanken, have done it for more than forty years, argued Francke and Nilsson. Even if most people, including senior managers, believe that agile management models along with decentralized decision-making beat traditional, mechanistic ones, experience tells us that there is always a tendency in organizations to centralize decisions when any sort of problems arises. Francke and Nilsson stated that decentralization is like a rubber string that needs to be held firmly by both ends so as not to snap back. In the talk Seven Game Changers, Erik Schön shared agile experiences from Ericsson, Netent and Framfab. He stated that we need a cultural transformation to change the inside of the company. We have to view customers as being the center of the universe. Your organization is just one of the organizations revolving around the customer, argued Schön. We need alignment for autonomy to enable teams and leaders to work independently from each other. To make alignment work, leaders and teams need to share the same values principles and mindset, said Schön. He suggested using Beyond Budgetting to make resources available when they are needed. In the closing keynote, Joshua Vial spoke about Livelihood Pods and their emergence at Enspiral. He stated that there are many people out there who want to make a difference. If you create the opportunity, they will take that choice, resulting in more people working on stuff that matters. Enspiral started as a peer-supported network of freelancers, and over time it turned into a collaborative of entrepreneurs that launches companies. Vial spoke about transnational collectives which are self-organized groups of people around common goals and interests. These are fluid systems where people are part of the social system (for instance connected via Slack), but not an employee of the same company. Over time these collectives might take over functions that are performed by businesses or the government, as they can outperform them, are more efficient, and care for the people. 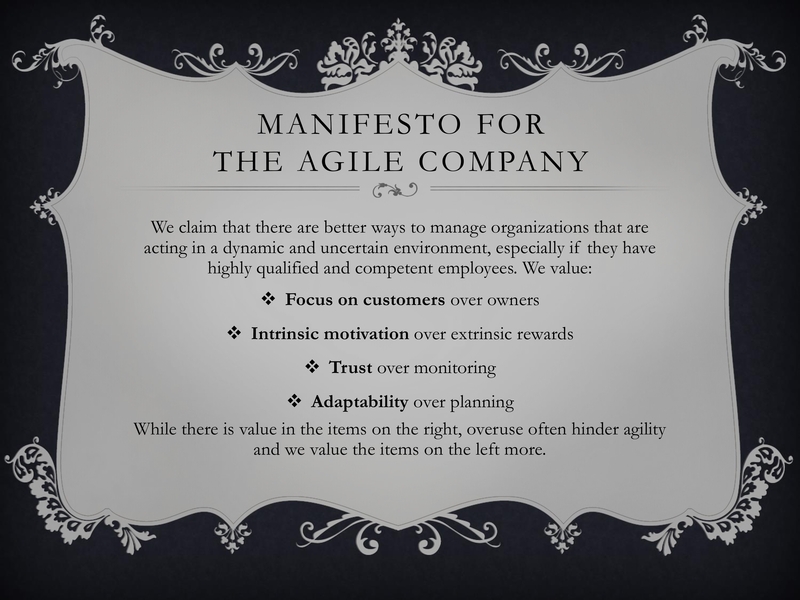 Earlier InfoQ published The Future of Work - Morning Sessions from Agile People Sweden.